Two major transport themes in the Forum’s work in 2018 will be buses and parking. A core on these issues is pollution: Highgate High Street, Highgate Hill and Archway Road have above legal levels of air pollution. This blog sets out the background and summarises the information we have on air pollution. Haringey and Camden have set out their policies: they are interesting as background (for example showing that buses and HGVs contribute more pollution than private vehicles) but there is very little specific to Highgate and while the plans point in the right direction they offer only a modest prospect of improvement. Yet pollution is a major concern to many residents. The extent of interest was reflected in the success of the crowd funding the Forum did to raise money to do our own diffusion tube testing. 1. 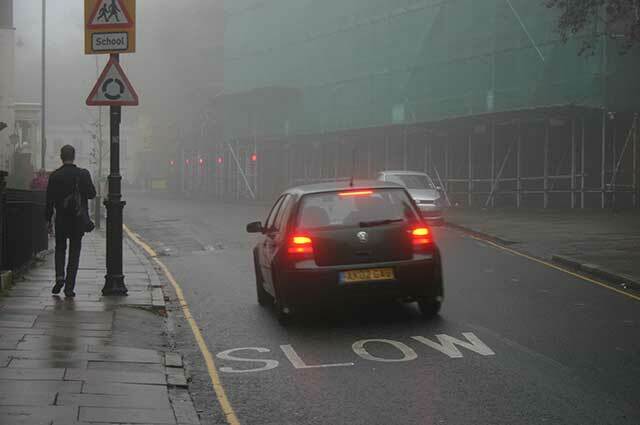 Highgate’s main thoroughfares still have illegal levels of (NO2) air pollution. 2. Overall air quality had not changed in the last year – where we repeated tests in the same place, some results were up and some were down but only one (on the High Street) was significantly higher. No message can be drawn about the general trend of emissions, up or down. 3. We tested air quality inside and outside shops and found materially lower levels inside – a relief to traders and customers. 4. Comprehensive testing around one house showed that there is a steep gradient from high pollution in the middle of the street, to the garden and then into the house. Living on a highly polluted road need not produce worryingly high pollution inside the home. 5. We went seeking high readings and found some spots in Highgate which are double the legal level. Highgate has a pollution problem and the Forum is keen to do what it can to ease the harms caused. The Green Party survey from 2013. It showed that Highgate Hill and High Street were a black spot. The Green’s follow up survey in 2015 is also mapped (with our data). The Hampstead Forum’s testing in 2016. The Dartmouth Park Forum’s plans. Camden Air Action has also collected data. Camden Air Action’s school monitoring project in 2017 did not cover any sites in the Forum area. Air pollution from vehicles is not the only form of pollution: it also comes from street lights and noise. Some councils in the UK and overseas are now turning lights off at midnight in an attempt to save money and energy (ie be more green). Some initial evidence suggest that neither crime nor accidents rise when this policy is followed. Haringey has published no such plans but does seem to be replacing street lights. (And here’s the Camden link.) Haringey also has a policy on light disturbance from near neighbours. Noise is more intractable but it was nice for those in Highgate over Christmas to enjoy life with much lighter road use and without the gentle rumble of planes and trains in the distance.